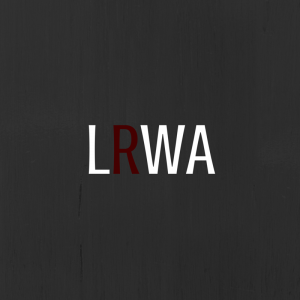 LRWA is a national, non-profit organization whose purpose is to promote excellence in romantic fiction, to help authors become published and establish careers in their chosen writing field, and to provide continuing support for authors within the romance publishing industry. A chapter of Romance Writers of America®, LRWA® was formed in March, 1993. Our members all have one thing in common—an interest in the writing, reading, marketing, and success of all forms of fiction. We welcome writers and aspiring writers of all genres to join us, whether you write romance, mystery, urban fantasy, or any of the other myriad genres being published today. 1. Are any of your members published authors? Yes! We have traditionally published, hybrid, and self-published authors at different stages of their writing careers. Click here to see our list of published and aspiring authors. 2. I am only digitally published. Can I still become a member? Of course! We have authors of every type in our membership. 3. I’m not yet published. Can I still become a member? Absolutely! We have writers at all stages of their writing career – from just dabbling to working on their 5th, 6th, 7th, etc…. book. 4. Why do I have to be member of RWA Nationals before I join? This is a requirement of RWA national that we must follow in order to be a chapter affiliate of RWA national. 5. Can I go to a monthly meeting before joining? Certainly! Non-members are welcome to attend two meetings before deciding to join Lowcountry RWA. 6. I’m interested in speaking at an LRWA monthly meeting . What should I contact? Anyone interested in speaking at a meeting for LRWA should contact the Program Chairman at Programs@lowcountryrwa.com. Your email should include a short description of the topic to be covered as well as a list of any qualifications you have that pertain to your topic. 7. I’m interested in presenting an online course for LRWA. What should I contact? 8. When and where does are your monthly meetings held? All LRWA meetings are held on the fourth Saturday of each month at the Coosaw Creek Country Club, Ashley Room unless otherwise stated. All programs, unless otherwise stated, begin at 1:00 pm. Click here to learn more about our monthly meetings. 9. Do I have to be a Romance Writer to join? Definitely not! We have members who write in genres other than Romance. However, we urge you to review the membership requirements of RWA national before making your decision to join. 10. What are the benefits of being a member? Besides access to a support group of writers who love to write? We have courses and events, access to industry professionals, and a monthly members only newsletter, just to name a few. Click here to read more about the benefits of being a member of LRWA. Learn more about our Member Benefits or Join RWA Now!